So Lonely in Gorgeous: When Paired With Oranges...Tasty Related, Not Beauty Related! When Paired With Oranges...Tasty Related, Not Beauty Related! Another refreshment find from the convenient store is Orange Coca-Cola. I'm not sure if this is a new flavor pr not, but it's the first time I've seen it in Japan. Orange Coke tastes like a carbonated, orange-flavored Otter Pop (if you know what an Otter Pop is, give yourself two stars). I don't know if Orange Coca-Cola is limited edition or here to stay (pending its sales), but it's a flavor that I enjoy. 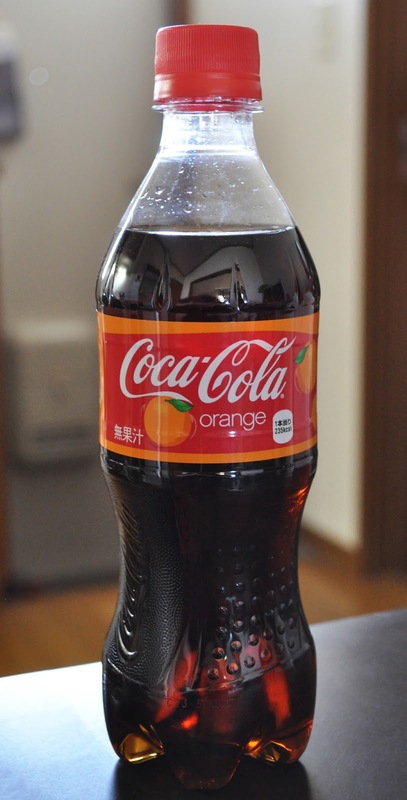 Have you tried Orange Coca-Cola?